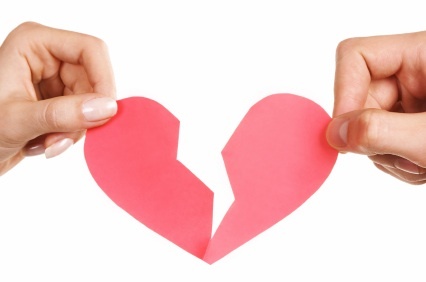 A break up is hard and can be heartbreaking and painful. A break up is even harder if you have shared a good deal of your life with the person, and it is extremely hard if you still love the person. Some relationships, however, although considered ended still deserve a second chance. You are still involved in each other’s lives. Breaking up did not cost you losing your connection. You both turn up at the same special events. At every unfortunate event one the other is there to help. These are indications the two of you are still in tune with each other. This means the two of you still care for each other, since caring for a person does not easily fade. You both demonstrate great respect for each other. You value each other’s opinions. When one of you is talking, the other listens. You ask for his or her opinion before making a crucial decision. You are great friends. Friendships after a love affair can be rare. But if both of you managed to be friends, then maybe the both of you can still manage to be lovers. It is said that the best of friends make the best of lovers. You know each other’s character and personality. It is hard to permanently dent love to someone with whom you have shared your life story. You have the same beliefs. It is difficult to have a relationship with someone who has opposite beliefs from you, as such could trigger future fights. But if you share the same beliefs as your ex, then everything can go smoothly again—especially if your beliefs were never a problem during your relationship before. Both of you get along with each other’s family. It is such a pleasure to watch your chosen partner fully embraced and accepted by your family. Love is best shared, and it is encouraging to know your relationship is supported. Having this kind of gift is rare and should be treasured. You can’t see a future without him or her. He or she is the only person you can imagine in your future. That may sound cheesy, but it is important. If you can see no one but him or her, then why hold back the feelings? Is she the best wife one could ever have? The best mom a child could ever have? The best man a girl could dream of? If the answer is “Yes,” then go ahead and get back together. You both still love each other. It is hard to suppress love, and even harder to suppress it for the right person. If both of you still feel the love for each other, then there is no reason to hold back and remain separated.